Wendell Moore picked Duke University in Cox Mill Auditorium just moments ago. One of the nations top prospects, Wendell Moore Jr. has decided he will play basketball for Duke University. His announcement came in front of his hometown Cox Mill fans. Moore picked the Blue Devils over in state and ACC rivals North Carolina, N.C. State and Wake Forest. Moore is a tough and physical wing player who some consider a power guard. He is a top-notch defender who can guard multiple positions and he possesses a 6-11 wingspan while standing close to 6-6, 210 pounds. Moore helped lead his Cox Mill team to back to back state titles and has just returned from a stint with USA Basketball. He is expected to become the Cabarrus County’s all-time leading scorer during his senior season with the Chargers where he's 19 points shy of the record. The newest Duke commitment was born in Richmond, Virginia but currently hails from Charlotte, N.C. He played his AAU ball for CP3 in the Nike EYBL. A season ago he averaged 25.4 points per game in high school and added 7.3 rebounds per contest. Moore was named as the 2017-18 North Carolina basketball coaches player of the year. He was first-team all state in various publications including USA Today. The Charlotte native has also won two gold medals while playing for USA Basketball in 2017 and 2018. He started all seven games where his USA team went undefeated this past summer in Santa Fe, Argentina. Moore grew up a LeBron James fan and is the son of Marie and Wendell Moore Sr. He is the first commitment in the 2019 class for Mike Krzyzewski and the Duke Blue Devils. For more on Moore and Duke Basketball recruiting. join Blue Devil Nation Premium during our 60.00 for the one-year special offer in the link above. Where will Duke go from here? We'll talk about that and more. 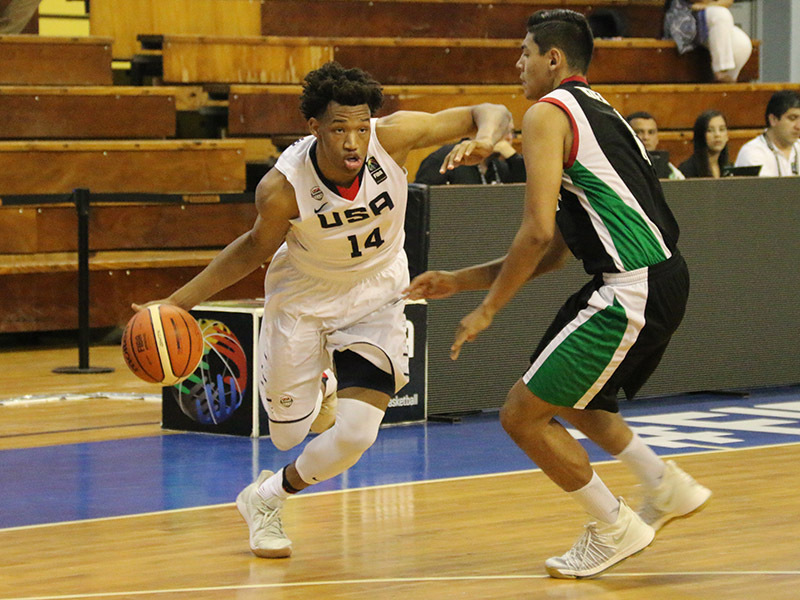 Fresh off his participation in the USA Basketball camp, Wendell Moore Jr. is set to make his collegiate basketball decision at Cox Mill High School at 7:00 this evening. Moore is a key Duke target and he also has N.C. State, North Carolina and Wake Forest on his list. He is one of the nations top wing players and the Blue Devils hope to land him and build the 2019 class around him. You can watch Moores decision as it happens in via ADSN on YouTube below. A lot of the recruiting world was in mild shock when Bryan Antoine picked Villanova over Duke yesterday. Actually, I am not that surprised for recruiting is an inexact science when trying to read the tea leaves of the information which is available. This one started to turn a little while back in that the Wildcats put on a full court press on Team Antoine. And let's face it, they have won two of the last three titles, so this is a hot school. The surprise, however, is that Antoine did not even take his Duke visit. Hey, I thought he was a Duke lean, but there had been scuttlebutt coming from the Wildcats for the past two weeks where they were appeasing him by saying he could be close to his entire family. Not to alarm you, but another player who is getting the full court press from Duke who is considered a strong lean, Isiah Stewart is also getting a monster push from Villanova and they have closed the gap to where his recruitment is in doubt. I have already heard that Antoine and other Nova recruits are on him hard to play with them, so this is one to watch closely. There are also rumors saying that negative recruiting is going on where some are saying Mike Krzyzewski will not be at Duke much longer and could ride into the sunset if his team won it all this coming season. I cannot confirm or deny the rumors, but it is not a stretch to think some version of negative recruiting is going on. It has also been mentioned, mainly on Duke sites; that missing Jeff Capel is playing a role in recruiting. While this is true in some cases, Duke still has guys who Coach K trusts and they have Coach K. But Capel was one to speak his mind and relate to players which will serve him well at Pitt. I do not completely buy that missing Capel is the cause of a slow recruiting start. I see it more as what players are available who grew up liking Duke to be lacking a tad this season. This means the staff has to sell them on what is best for their basketball future for their hearts do not necessarily make them want to automatically come to Duke. There is actually more to the negative recruiting I am hearing but I am just not comfortable in speaking to unsubstantiated facts. Let's face it, Duke cannot always pick and choose who it gets on campus and there will be off years. And it is also good to keep in perspective that the Blue Devils are riding high with a direct pipeline to the NBA of late. That is why they hope the rest of the kids they're recruiting wait. The staff wants them to see this years team on campus and the success their alumni has on the NBS this coming season where they will have a record number of players on rosters,. While there are not the sure things like in the past with concern to prospects, the Blue Devils are not dead in the water yet. They are still in the mix with some of the nations top rated players but each one presents a difficult challenge. With the loss of Antoine, the Blue Devils will likely go all in on Josiah James now. They need some wings and he can play multiple guard spots. They could use an early commitment from James about now or any other player but we will likely have to sweat it out for a bit longer. James will visit the Duke campus on the 21st of this month and he will do so at the same time as Wendell Moore. Not getting kids on campus like in the case of Antoine, could alter their plans. The bottom line is the staff felt it would get a visit before his decision and they were confident in what they had to offer. I would imagine with the loss of Antoine, the phone calls will increase and that has to happen when you have a limited crop of kids left on the wish list. In short, the phones and texts are going out and the staff is showing kids proper interest. They had an idea before we did that Antoine was being tugged to stay near home. Also, let me interject here that we live in a world where Antoine can go to Villanova and Zion Williamson can pick Duke and nobody saw it coming. This is worth remembering when worried if Duke will get anybody as many are falling victim to. 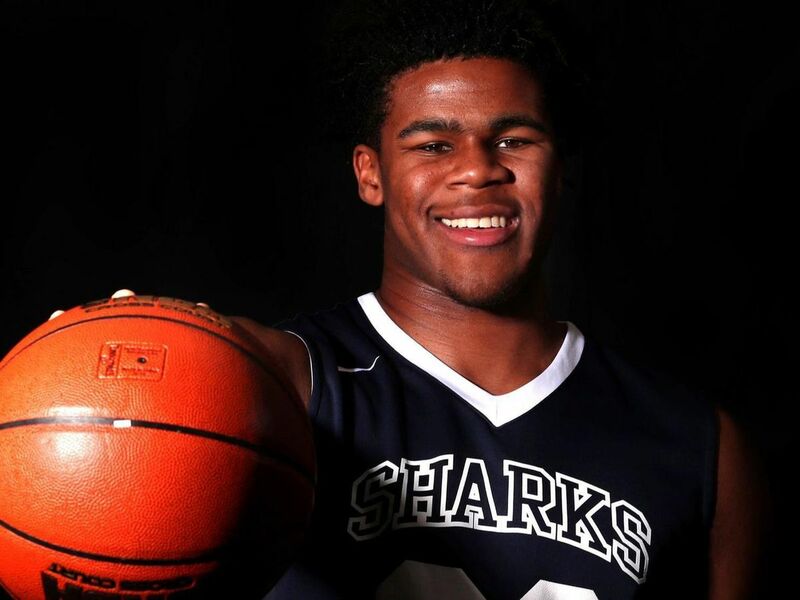 Some seem to think Vernon Carey will be a tough get and I think he will, but Duke will need to get in his grill with reports that Villanova wants Stewart to round out their class. And I hate to say this, but the word is that Stewart is open to doing just that. Official visits to Kentucky on October 17, Duke October 19, Miami October 26, and UNC November 2. Duke has to get one of Carey or Stewart in that they will only have Javin DeLaurier and Marques Bolden up front next season. And who is to say they will be here for sure? I think Duke is strong with Isiah Stewart, but this one is not over and they have to close. There is a pile of unsubstantiated rumors going on with concern to where he leans, but it appears he will take his visits before doing anything, which means we'll sweat it out a bit, I sometimes cringe when people call kids a lock, but the truth of the matter is Duke let Armando Bacot go to UNC thinking this kid was in the bag. I think the thought process here was looking who we turned away from in favor of you but we will have to wait and see what that means to Stewart and Duke has yet to get any player out of the City Rocks AAU system. 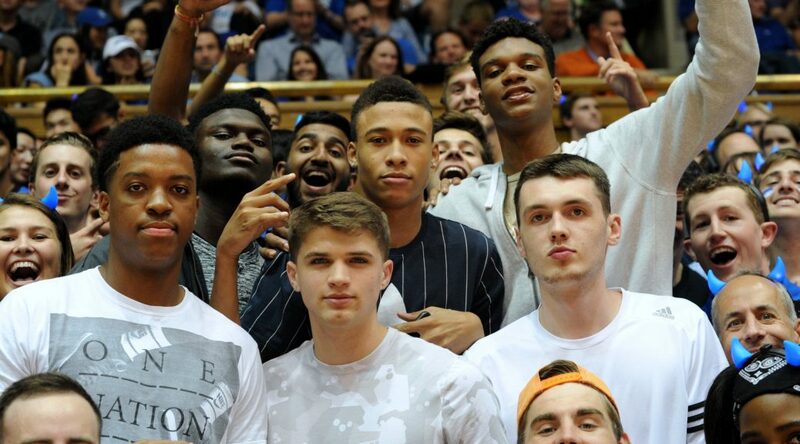 Matthew Hurt on his visit to Duke. Pictured right. The Blue Devils have gone all in on Matthew Hurt but so has every school on his list. He played for Bill Self with USA Basketball and he gets more calls than the hottest girl in school. Still, the word is that Mike Krzyzewski is building a good relationship with the standout player and he will have to stay on him hard and sweat it out should Duke win this one. As you saw in our earlier update, Duke will be in-home with him this Sunday as will Kansas and Kentucky. Whoo! UNC and Minnesota will visit shortly thereafter. I think Duke will have a better feel about where they stand after this visit and that Hurt will begin to make official visit plans. I think the three visitors on Sunday have the upper hand in this one and that it will be a race until the end. Some reports have him going to Kentucky's Big Blue Madness already but I have not confirmed that as of yet. And it now looks like Duke will have to sweat it out with the aforementioned Carey and Stewart as well. But hold on before you jump off a bridge. Keep in mind that Duke will be able to offer immediate playing time and exposure and a tested method of getting players drafted in the lottery. That is why I may be a little worried in that there is no player in the fold just yet, but I also see the openings Duke will have to offer. 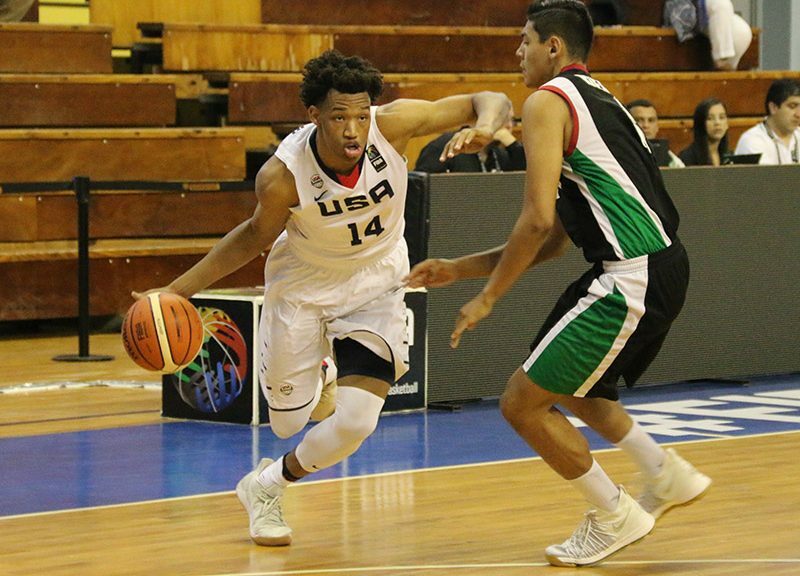 That brings us to Wendell Moore. I think Duke will get Moore but his camp is taking it slow and going through the motions. I just feel Duke has too much to offer for him to be swayed over to N.C. State or North Carolina. And the main thing Duke offers is playing time for a player like him. They are telling him he can be their Justise Winslow and he visits campus at the end of the month. 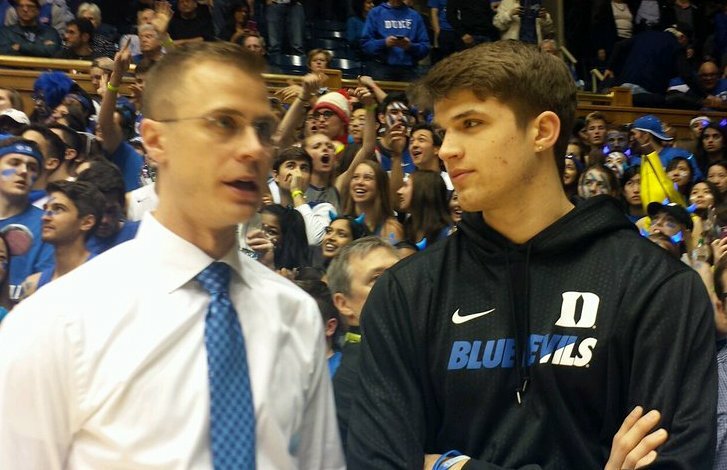 May I also remind you that Duke likely sees Joey Baker as a part of the incoming class as well. I am not sure if he will redshirt, but his impact is a year away, save some spot up shooting. I know some players recently decided to stay in the 2020 class as in R.J. Hampton. But situations change things. And we have a summer to go with Hampton and other 2020 targets who may come out a year early and we are in good with some kids capable of that feat. 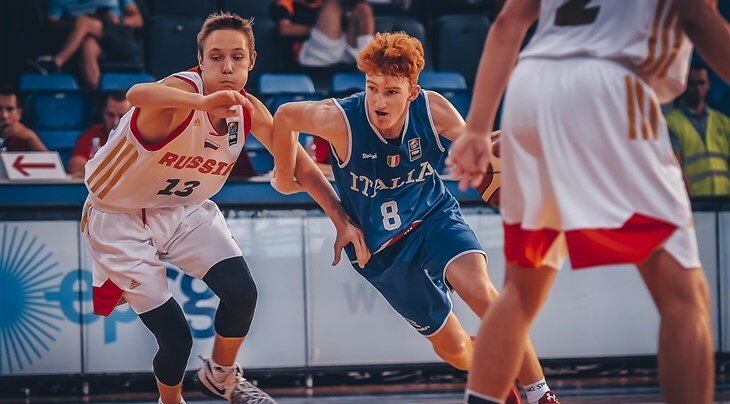 Mannion has made the transition from Italy to USA Basketball. As for Nico Mannion, he too is getting a major push from Villanova and Duke is in contact. We will know this coming week if Duke will turn it up with his recruitment in that no official visit has been set up of late. It is time to make a move if they really like the kid and if they do not, they feel comfortable with Jones and other options including waiting it out with Anthony. Duke may also get into the transfer market in that it is now like recruiting. In fact, I would be shocked if they didn't should they fall short a body or two on the recruiting front. It will have to be the right fit, but I can see this scenario playing out sooner rather than later. The bottom line is Mike Krzyzewski will find a way to adjust to the situation presented. He will fill his roster, so no need to get overly worried as some are in the Blue Devil Nation. We'll get into the upcoming visits next update and there will be a clearer picture with more information at that time. In the interim, I will check in with sources to see where we stand with the prospects as things progress. Until then, remember, do not believe everything you hear and crystal balls do not always work as they should. Lastly, the word is that Tre Jones and Cam Reddish are doing more in workouts and that they will be ready to go once camp starts in less than three weeks. Alex O'Connell will be held out of contact drills for a bit but will be ready to go as well. I am also working on my take on the Canadian and a preview for the season. Those of you remember last seasons 3200-word take and another one is coming. We don't have the most active message board for our members seem to be readers. But you can ask questions there and get further updates and analogies. One more side note, the staff is in regular contact with Brandon Boston and Jalen Johnson and will be adding more names to their wishlist as time goes on for 2020. The Duke Men's Basketball staff is once again on the recruiting trail in full force as the open period begins. The Blue Devils have been active with many players of late, extending new offers and setting a list for future prospects while trying to close on current ones. The staff is busy in more ways than one. With the Canadian trip fast approaching, this is a time when everyone must take their vitamins. A demanding schedule means time management, yet that seems to be something a Mike Krzyzewski led program thrives on. Duke is fortunate to have four assistant coaches, if you count Nolan Smith that have all won national championships. That knowledge combined with individual experiences offers them communication skills and knowing what kind of team they need to build for future success. So far, Duke has yet to land a single player for next seasons class, but it is just a matter of time. Duke is not hurt in the least by players waiting in that they can see firsthand starting in August of how they blend high school players into roles with the team. With the one and done rule in effect, Duke is still looking at young men who can jump straight to the league. 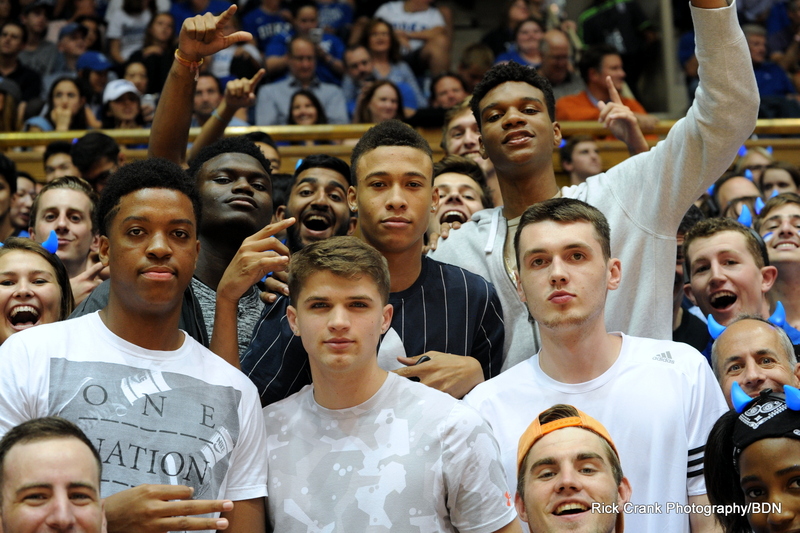 The Blue Devils also realize that current players on the team will play a role in who comes next if they turn pro early. That makes for a mixed bag in how to fill the roster, but it is an envious situation for the program. Duke has zeroed in on several players, so we now have a good idea who will possibly fill the 2019-2020 roster. It makes sense that Duke could lose all of their starters for a second year in a row, if the team has success and especially if they are lucky enough to win it all. Many things play a role in when the best time for some players to go pro is at hand. Others are destined to go already despite not dribbling a ball in an actual game in Duke uniform. Duke will spend a lot of time in the many tournaments in Las Vegas this week. While there, they will try to close on some guys in this class while hanging in with others who will make late or next Fall decisions. 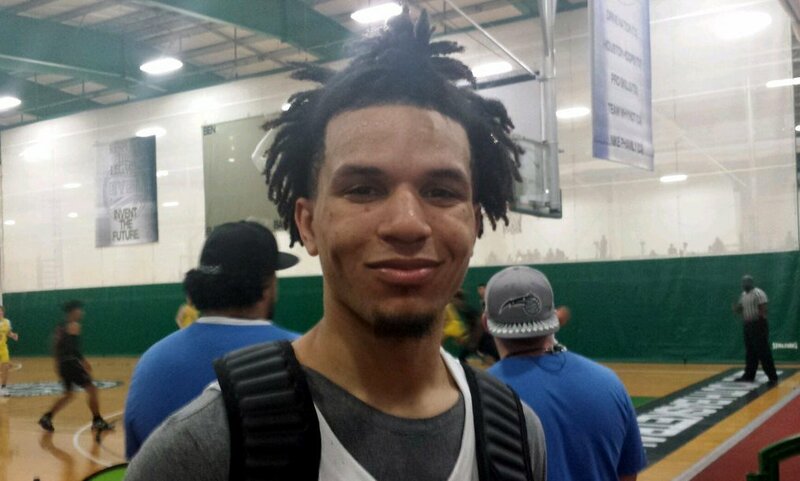 Among the players which have standing offers are Cole Anthony (PSA Cardinals/Nike) who is hands down the best guard in his class and the son of former UNLV standout, Greg Anthony. Anthony is on the cover of the latest Slam magazine and sure to garner more hype but he will not pick a team until the Fall of 2019 when all the fallout has occurred. A player who will make an earlier selection which holds an offer is Bryan Antoine (Team Rio/Under Armor). The shooting guard has long had Duke at the top of his list and will visit campus on September the 29th. It helps that he is friends with current Duke freshman Joey Baker who continues to help the staff recruit. He is also a very likable player on the shoe camp circuit who may players want to play with. 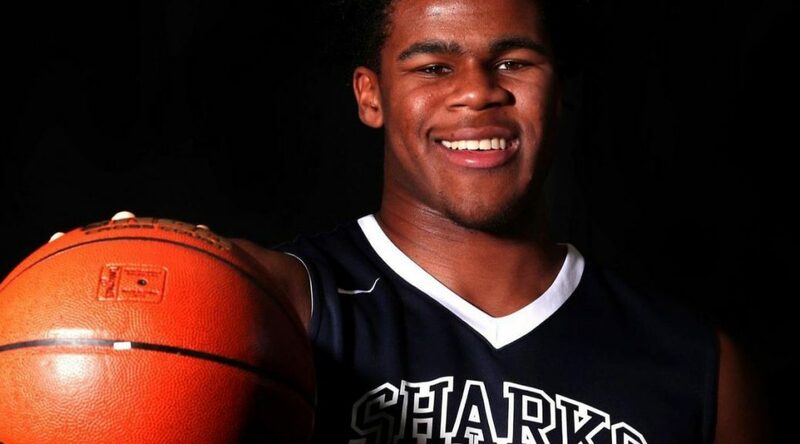 Vernon Carey (E1T1/Nike) has long been near the top of the high school rated players. He is top three on every list and he has included Duke in his final teams. Carey will visit Duke during Countdown to Craziness in October and he will likely have some company in the stands at that time. Duke has been all in on Carey for some time now and he will be a center of focus for them this week. 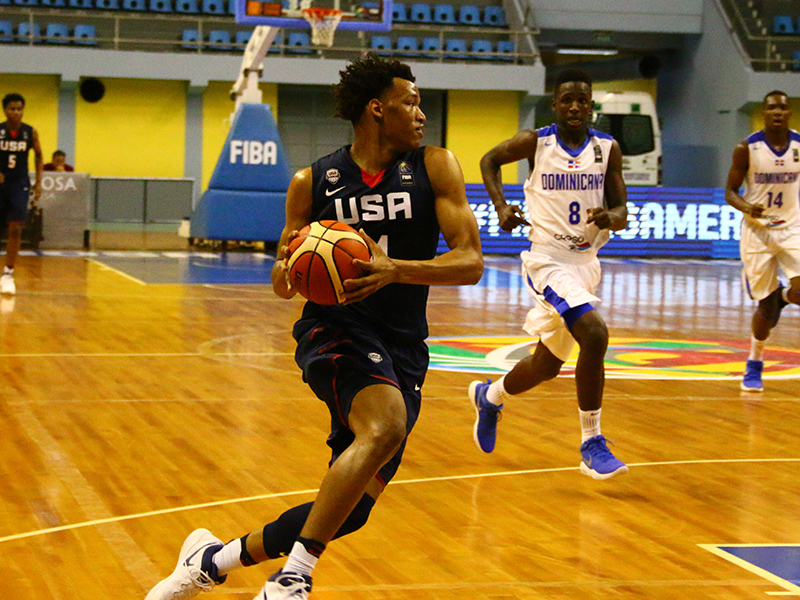 Another player Duke is heavily recruiting is Wendell Moore (CP-3/Nike). Duke most recently visited Greensboro to see him play where they had multiple staff members at all of his games. Moore is their wing of choice but he is being heavily recruited by other schools as well. 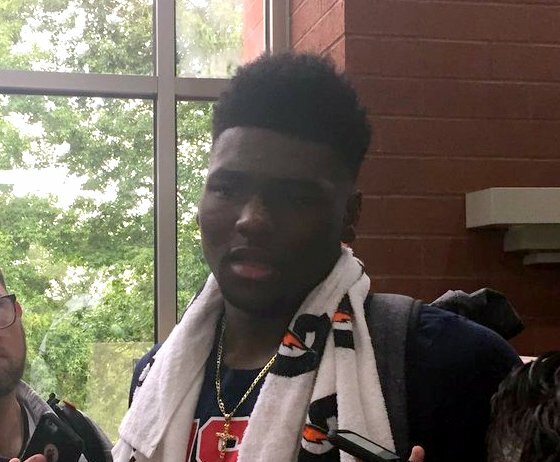 He will visit the Duke campus on September the 21st and through the weekend. A player Coach K loves for his non stop motor is big man Isaiah Stewart (City Rocks/Nike). Stewart is the real deal and he is slated to visit Duke for the UNC game in Cameron but those plans could be changed and he may visit earlier. Duke is considered one of the leaders for this young man and they've seen enough. And it is good they've seen enough for Stewart has elected to sit out this week and will another Duke target in guard, Josiah James. Duke has been on the 6-6 PG for a while now and they will likely seek a visit in the coming months. The guard situation is a bit more complicated which I speak openly about on the message board for members. In fact, I go into much more than just the general list in this article for Blue Devil Nation members. There will be an extended update tomorrow which goes into more details on the targets and new offers which will go out soon. So, consider joining Blue Devil Nation Premium where you can currently get two years for the price of one during our BOGO special. Okay, back to subject at hand. Duke loves Matthew Hurt (D-1 Minnesota). Coach K himself is running front on this one and that is a good thing for Kansas and others covet this talented player and Self was able to recently coach him. Duke will check him out this week and our members know the details from past updates. Hurt is a Duke kind of player and one they will push for until the end. It won't be an easy road for his service in that it is so competitive but it would be a rewarding one and a great match. Say hello to Nico Mannion (West Coast Elite/Under Armor). Okay, so you knew about him from past updates, but he has recently reclassified to the class of 2019 and Duke has an offer out and will scout him even heavier in the coming week. For those who do not know, Mannion is a USA PG which is the kind of player a Krzyzewski coached team covets in that he loves those who have represented the country. Of course, Mannion was not originally from the US which you can see in past updates, but he will continue his ascent to his dreams at a college in 2019-2020. Duke has also done more than kick the wheels on Armando Bacot who was very impressive with his team in Nike play. Duke wants three front court players and that could include him if two aforementioned players look elsewhere, so there remains consistent contact. I expect we'll see another front court player offered once the evaluation period ends, if not two. Duke has and will scout Jaden McDaniels, Jaiden Delaire and Drew Timme. They also have some names in place if things get tight with Moore. The players which Duke may get early from our last update has not changed. BDN will cover that again tomorrow along with the new players which are becoming fixtures for the future.